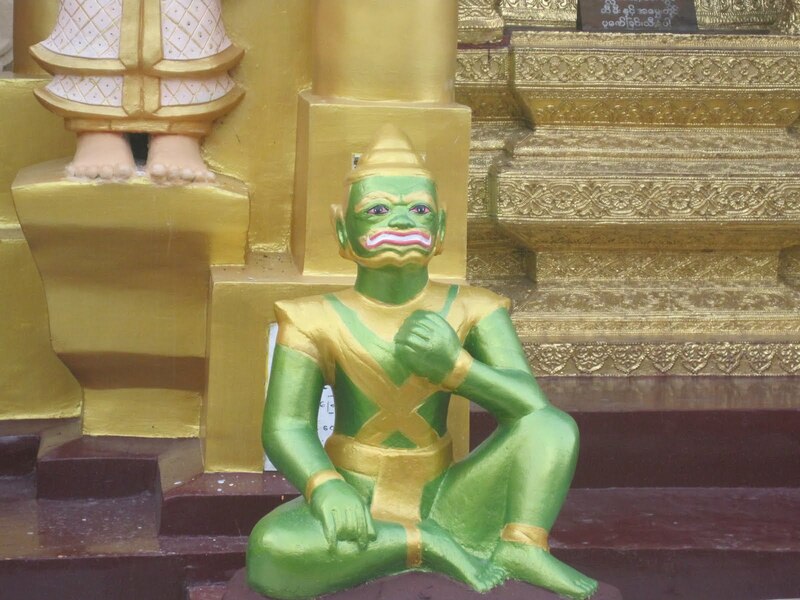 I just came back from a 2 week whirlwind trip through Malaysia, Singapore, Thailand, and Myanmar. It was exhausting but amazing. 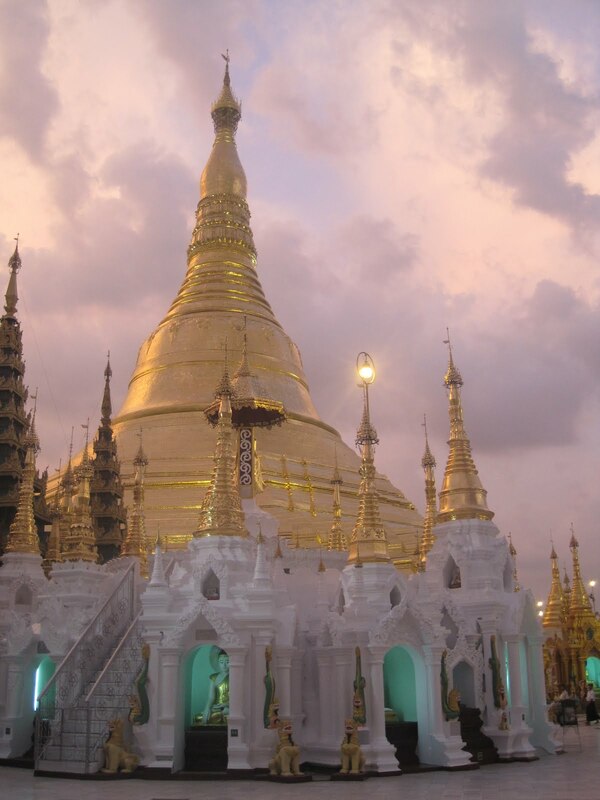 One of my favorite memories from my travels were the pagodas in Myanmar. 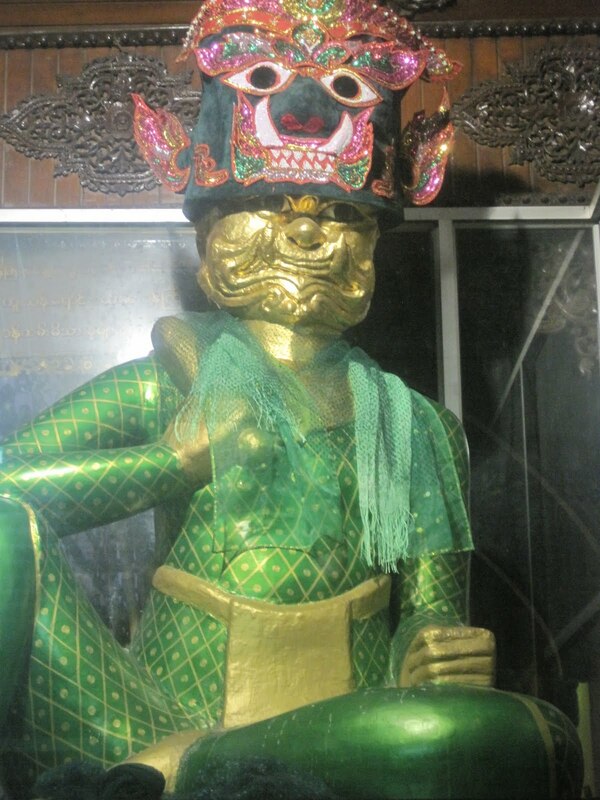 The most spectacular one that I visited, Schwe Dagon, was located in Yangon. 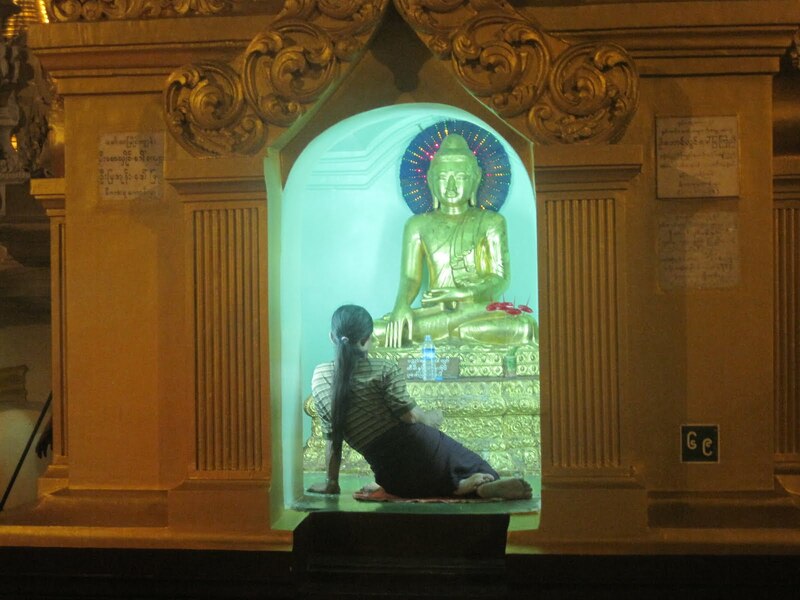 Keep in mind that traveling in Myanmar is not for the faint of heart. It was steaming hot, dusty and grimy. By mid morning, I would be soaked in sweat. What made it worse was that I had to wear a sarong most of the time (it’s a conservative country where women wearing shorts or dresses stood out like a sore thumb). When I wiped my face at the end of the day, there would be a layer of soot on my face (I broke out like crazy right after my visit). I usually wound up taking 2 showers a day. But getting to see the gorgeous pagodas was totally worth it for me. 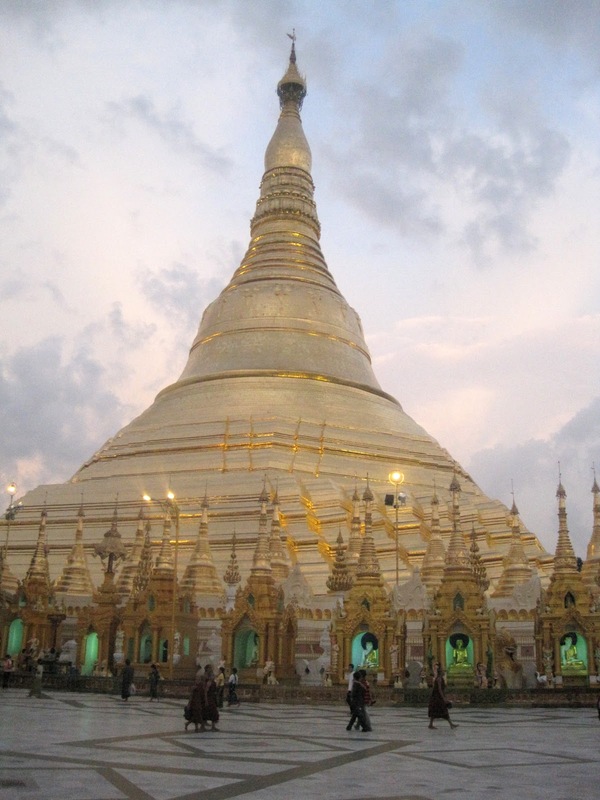 Native Burmese have free admission to the pagodas. 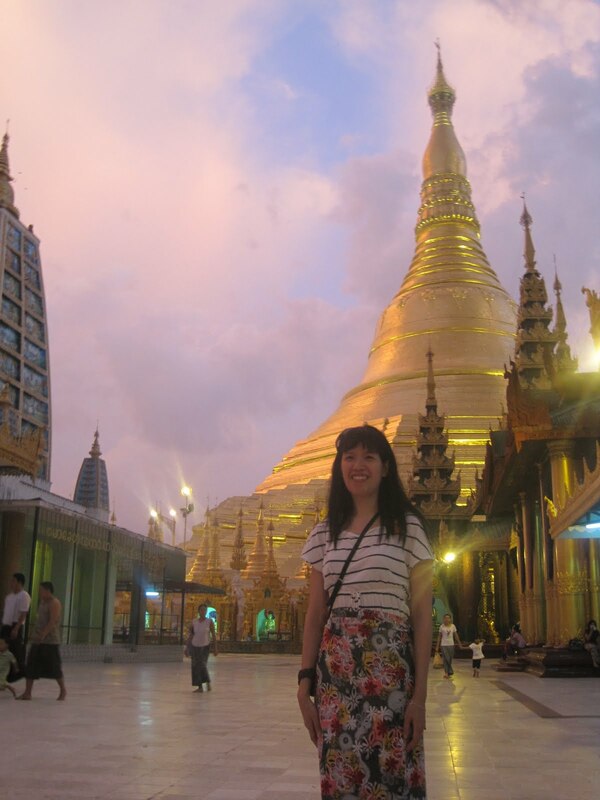 But I was obviously a foreigner and included in the admission price – the ticket office lent me a sarong to cover up my gams. 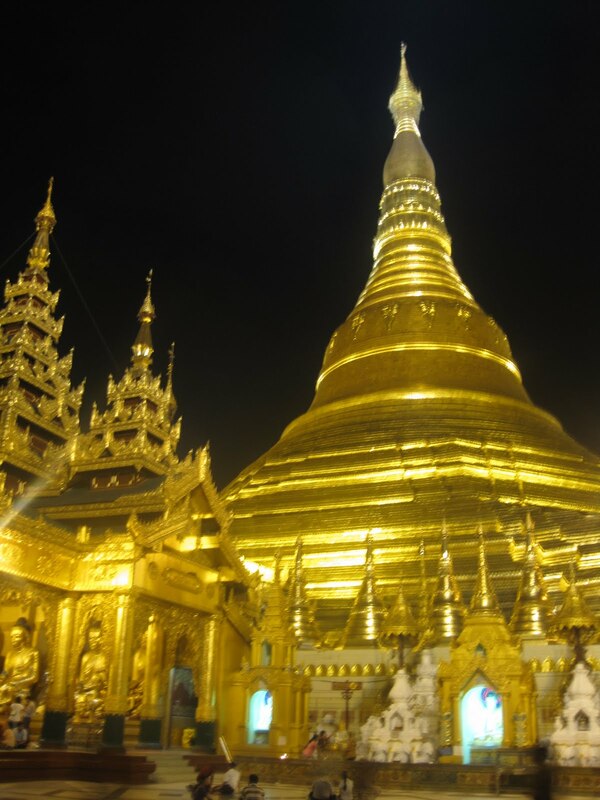 This Pagoda was about an hour outside of Yangon. 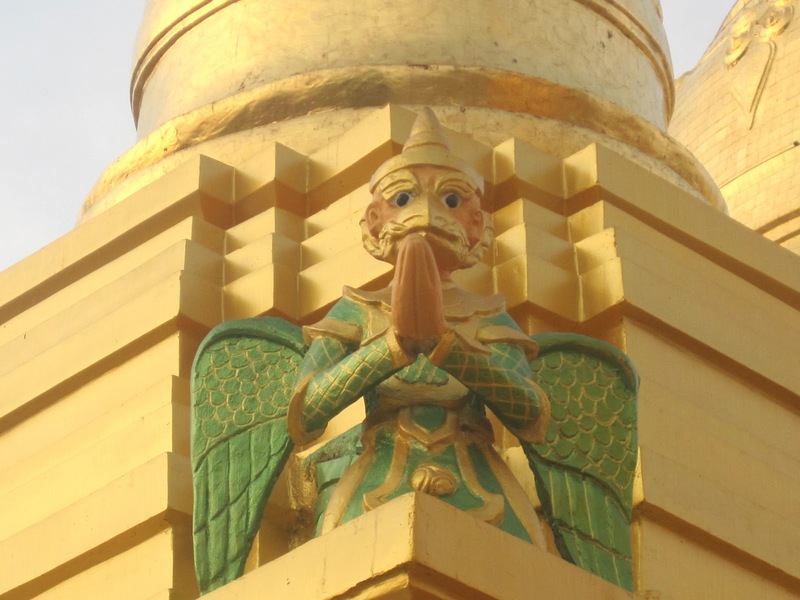 I believe it was the Kayauktan Pagoda, which is actually in the middle of a lake. 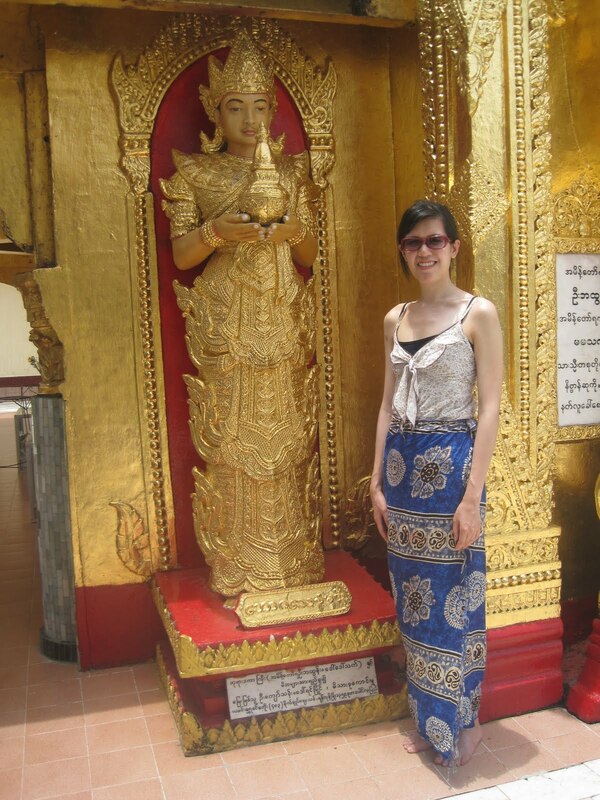 Top (actually a short dress) bought in Krabi, Thailand, Thrifted Sarong from Housing Works. Steve Madden Sunglasses.